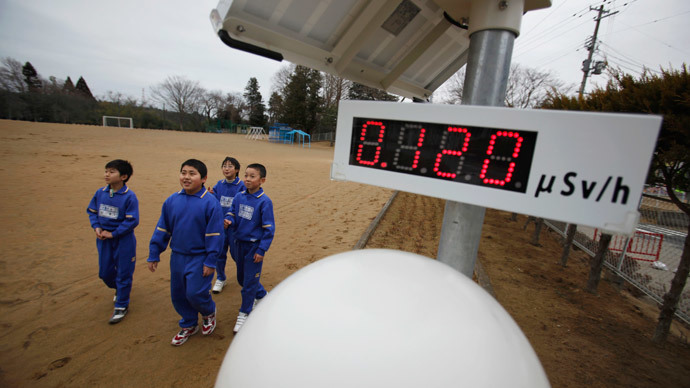 Students walk near a geiger counter, measuring a radiation level of 0.12 microsievert per hour, at Omika Elementary School, located about 21 km (13 miles) from the tsunami-crippled Fukushima Daiichi nuclear power plant, in Minamisoma, Fukushima prefecture. 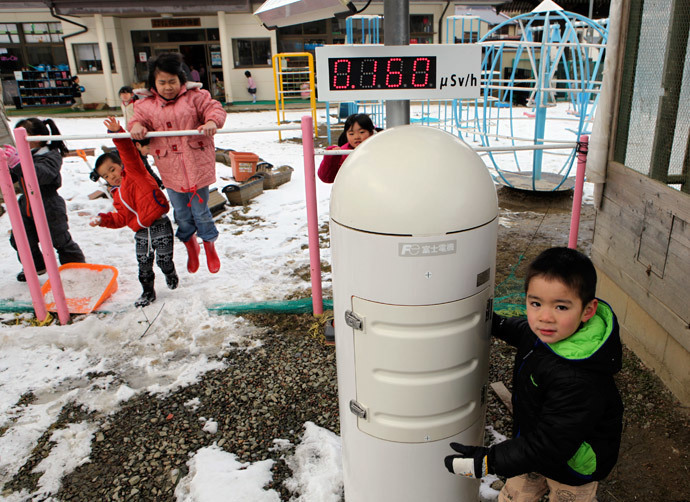 According to Idogawa there are about two million people residing in the prefecture who are reporting“all sorts of medical issues,” but the government insists these conditions are unrelated to the Fukushima accident. Idogawa wants their denial in writing. 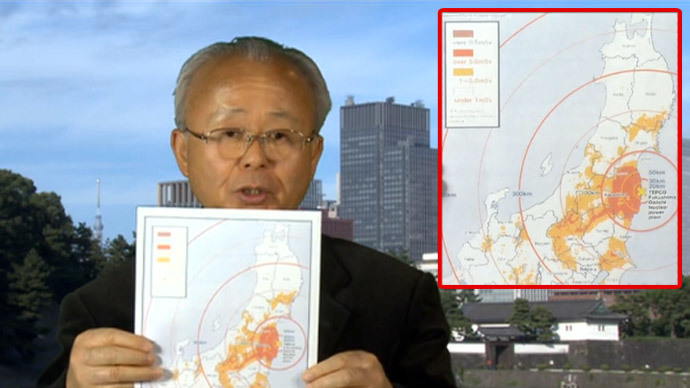 When pressed on the details of a United Nations report that says there have been no radiation-related deaths or acute diseases observed among the workers and general public, Idogawa dismisses it as“completely false,” before providing some of his own experiences at the height of the crisis. 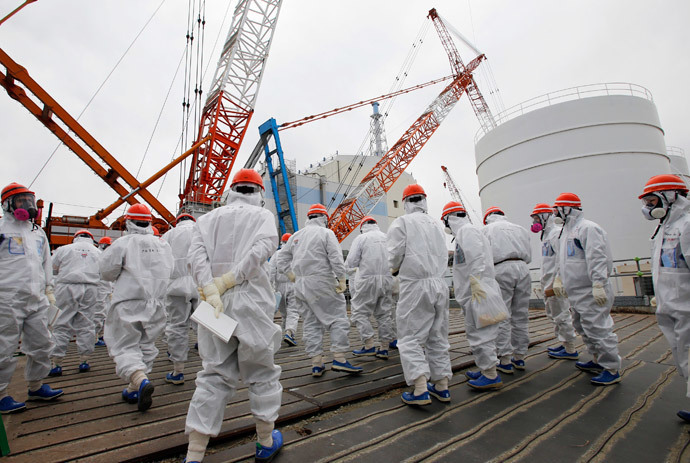 Members of the media and Tokyo Electric Power Co. (TEPCO) employees wearing protective suits and masks walk toward the No. 1 reactor building at the tsunami-crippled TEPCO’s Fukushima Daiichi nuclear power plant in Fukushima prefecture March 10, 2014.